Early in the game, a “Boatload of 2400 Donuts” may have seemed like an excessive amount of donuts. Now that the game has added an additional fifteen levels from its original build, there is a lot more to buy. 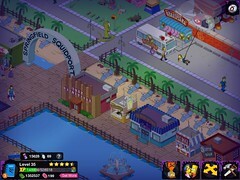 This includes buildings, characters, and decorations. If you want everything the game has to offer, it is going to cost you. Of course you could just pick and choose which content to buy. Maybe you only want to buy new characters, and buildings that come with characters. Yeah… that’s still going to cost you somewhere in the range of 2,000 donuts, depending on whether or not you managed to make the most of social events like Whacking Day.